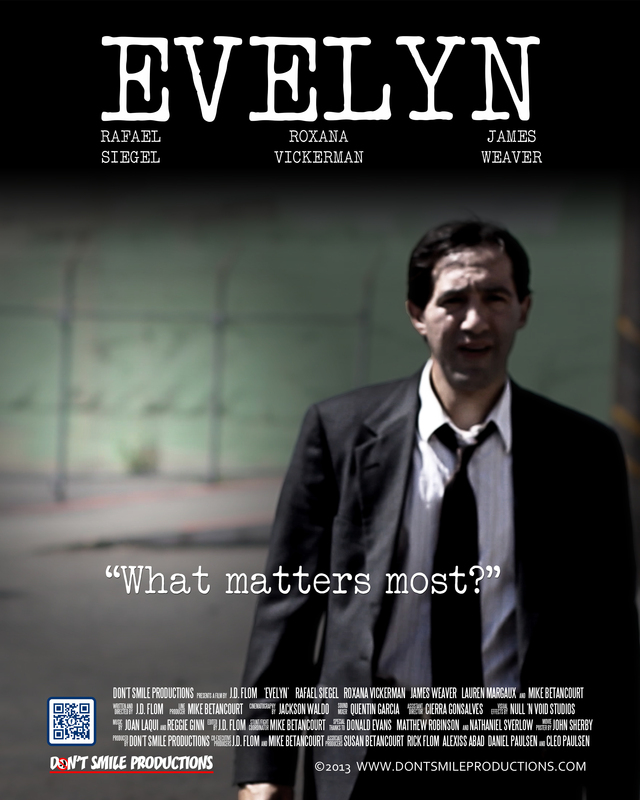 Evelyn is a new short film written by J.D. Flom and produced with Mike Betancourt. Synopsis/Logline: Ray, a self-loathing detective, detached from his home life, is thrown into a demanding case that forces him to re-think his outlook on life. Note: Some sizes may not load in the browser, and you may have to right click and “save as” to download and view it. Featuring music Joan Laqui and Reggie Ginn. Please support them by checking out and purchasing their music. 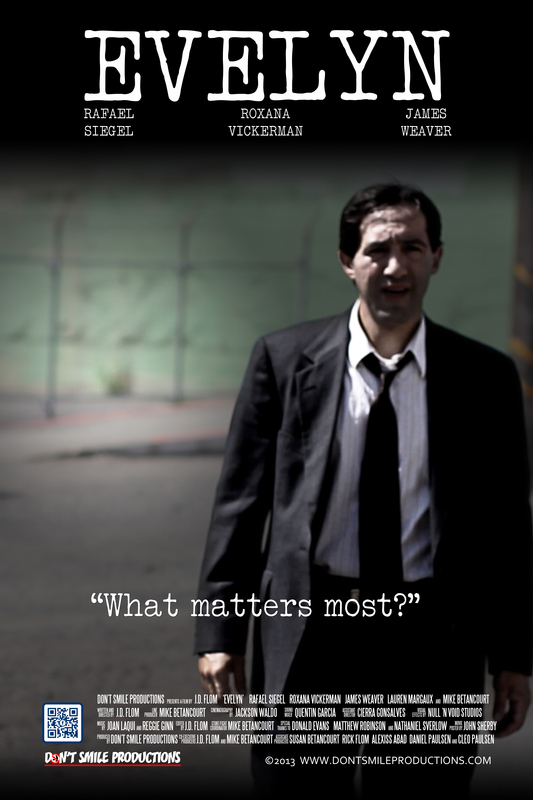 7/29/2013: The final cut is complete and we are applying color correction as the last step! 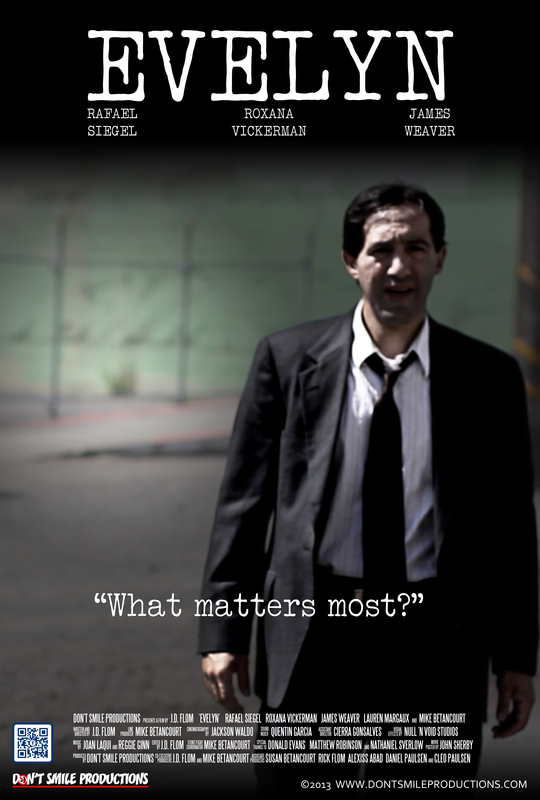 5/23/2013: Nearly all principal photography has been completed & editing is heavily underway. 4/12/2013: Principal photography starts today! 2/27/2013: The first draft of the script has been written. It’s undergoing some peer review and will be moving forward shortly. 2/11/2013: We will have a synopsis and more information about this film up here soon. We’ll be casting for it toward the end of February and shooting is tentatively set for late March – early April. The title of this film may also change.